Uber has been rapidly expanding in Sub-Sahara Africa and currently operates in 8 cities in 5 Sub-Saharan Africa nations. In the last few months Uber has launched operations in Kampala, Uganda and offered users 4 days of free rides. The service also launched operations in Accra, Ghana last week, and offered users six free rides over a period of 3 days. It has not been easy in Sub-Saharan Africa for the taxi hailing service having faced resistance in Kenya from taxi drivers owing to increased competition. Uber driver partners in Capetown, South Africa also protested plans by the service to reduce fares. In an interview with Reuters, Uber’s general manager for Sub-Saharan Africa said its launching pad in new markets would involve convincing taxi drivers to adopt the technology, a move meant to avoid stiff resistance. 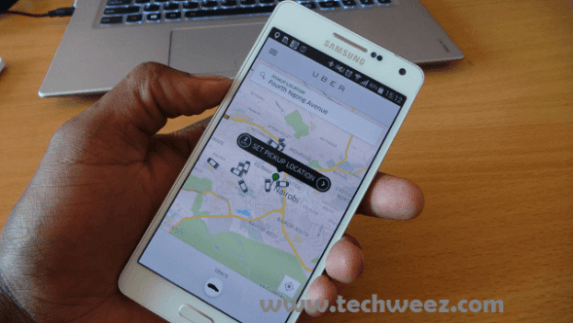 Uber was set to launch operations in Dar Es Salaam Tanzania this month, which has now been announced to be tomorrow 15th June. The service will offer its low-cost UberX service in the City that allows anyone with a car to become an Uber driver upon registration and background checks. To celebrate the launch, Uber is offering users in Dar Es Salaam a total of 6 free rides for 3 days. The users will need to use the promo code Move Tanzania to enjoy the rides. Dar Es Salaam becomes the 475 city worldwide where Uber has launched operations and the 9th in the African continent.